a happy new year to all our visitors! Kagamimochi, a traditional Japanese new year's decoration. discovertajimi.com was off to a great start 2017! Among our essays, the piece about Yoshimi Tokuda and her demonstration on how to create her unique ceramics proved particularly popular. We will continue to write these down-to-earth how-to kind of articles, and start the year with one on food. Enjoy! It is time for the first food article on this site, and since we are celebrating the new year what could be more fitting than a story about the Japanese wild yam? In Japanese the root is known as jinenjo (自然薯) or "wild yam". It can rarely if ever be found in superstores. What you will find there is a related but much cheaper variety - the nagaimo - costing a fraction of the real thing. It has a very pleasant mild flavour with a floury texture. Wild yam is a relative to the common yamaimo (山芋), the "mountain potato", and is native to fields and mountains in Japan, such as the mountains surrounding Tajimi. Compared to the yamaimo, he taste of the wild yam is richer and is more influenced by the soil in which the root grows, which makes it especially popular here in Japan. 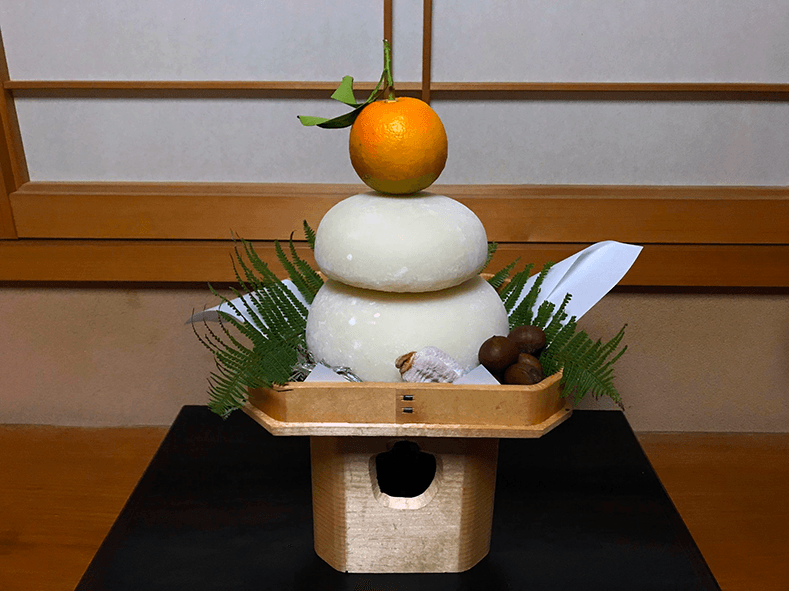 By tradition here in Tajimi we have grated mountain yam and rice on the 2nd of January every year. It is an important part of the holiday tradition, and the dish is appreciated for its taste as well as the special cultural and emotional significance it carries.​ This is not your ordinary potato - far from it. The theme of this site is Tajimi, a countryside town as seen from the perspective of a foreigner - myself to be precise. I am Swedish and have spent three decades in Japan by now. After my arrival here I realized rather quickly that historical and cultural ties between our countries are quite low key. 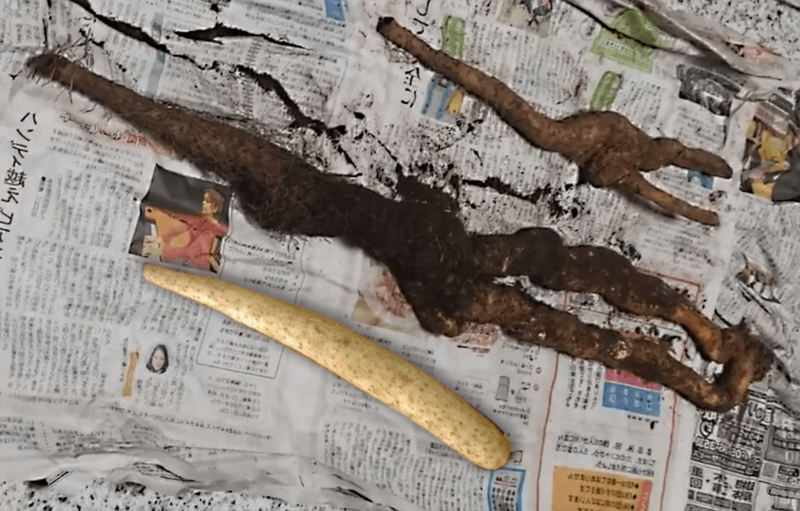 The Japanese wild yam, however, turns out to be one of those rare connections. In my research for this article I discovered that a countryman of mine, Carl Peter Thunberg, recorded and classified the root during his travels in Japan in 1776. 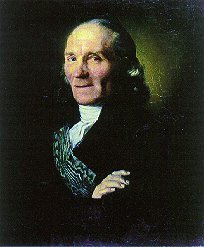 ​Thunberg was a disciple of Carl von Linné, the botanist who formalised the modern system of naming organisms. During his trip Thunberg managed to collect 731 plants and a great number of animals. He most likely dug up his wild yam somewhere near Hakone, not far from Edo (which was renamed Tokyo in 1868). Apparently he was unable to collect specimens elsewhere. Presumably this was due to restrictions imposed by the Bakufu - the military junta that ruled Japan from the end of the medieval age to the beginning of the industrial era. Thunberg’s books on Japan - the botanical treatise and his travel journal - “were among the foremost sources of knowledge on Japan for Europeans of the Enlightenment age,” according to Timon Screech in his introduction to the book Japan Extolled and Decried. The fact that the humble Japanese mountain yam played a role in that flow of knowledge is quite fascinating! Hakone in Thunberg's day was one of the stations on the Tokaido highway from Kyoto to Edo (today's Tokyo). Note the travelers in the pass. Station Hakone , "View of the Lake". 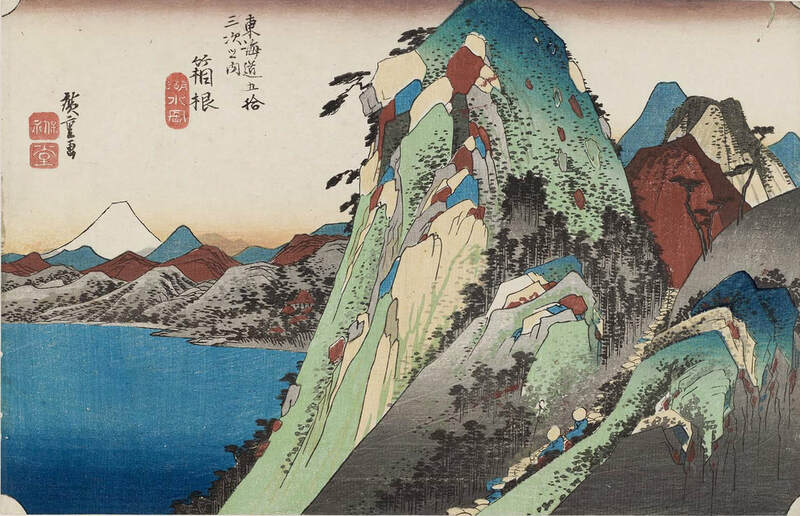 (kosui no zu, 湖水図) by Hiroshige. The new year is the biggest holiday in the year in Japan, and in a sense the equivalent to Christmas in the Western world. New year is a time for family gatherings and visiting temples. Christmas in Japan, on the other hand, is quite like new year’s celebrations in the West - a time to party. The Japanese see the end of the year as a time to reflect on life, and the the first day of the new year as a time to look forward, to pray for a bright future and healthy life. That is why the wild yam has a special significance as a dish in this season, because people have recognized its vitalizing power since ancient times. It grows stubbornly in hard, stony earth in the mountains where it reaches down deep in the ground. It is said that this is why it develops its tremendous viscosity. Again, this quality of stickiness, of not giving in easily, is something humans need in hard times, or confronted with the challenges that the new year may bring. As a huge part of the population in Japan now live in mega-cities, few have the time to go searching for the wild yam in its natural habitat. The awareness of the root is vanishing, and even gourmets in urban areas rarely find an opportunity to try this delicacy. The have to settle for an artificially cultured variety. The price for the wild root is high in Tokyo, if you can find it. A huge specimen as the one you see in the video is most likely impossible find in stores. ​Perhaps this is partly what motivates people here on the countryside to go to great lengths to put the wild jam on the table for the new year celebrations. My Japanese grandfather-in-law used to go up in the mountains to look for the the vines of the wild yam and put marks on them every summer. This is because when autumn comes they drop their leaves and are hard to find. He then climbed the mountain again a week or so before the new year to dig up the yam. This was hard work, as they reach as much as a meter and sometimes much deeper into the ground. For this reason, people prefer to gather the roots in steep slopes, where they don’t need to dig deep down in the ground to pull them out. People bring the roots home only a few days before the traditional feast on the second day of the new year. This guarantees that the yam is still fresh when it is prepared for the dinner. This New Year dinner is held on the second of January in the Tajimi area, but the date varies in different parts of the country. 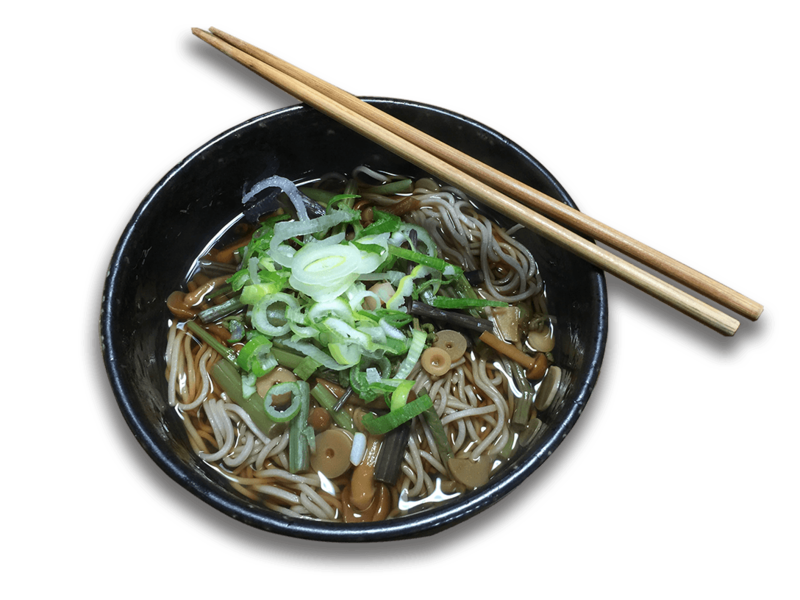 Soba noodles is another traditional dish served during the New Year holiday. Crated wild yam is used as topping on the noodles, but as it drives up the price this dish is rarely served outside the home. The wild yam can be grown, but people I have talked to regard the taste of those products as inferior to that of the wild variety. Perhaps this has something to do with the harsher conditions the wild yam must endure, which is thought to be the cause of its incredible viscosity. The root grows several years before it reaches maturity. People enjoy the sublime fragrance and taste the root aquires from the nutritive soil in which it grows. The wild yam is also believed to have an invigorating effect on the body. Some say it helps digestion, which makes it suitable as a new year’s dish - the meals are lavish during this holiday. As I study the culture and history surrounding this humble root, my thoughts travel back in time to the days of Thunberg. The Edo era evokes images of a different Japan, a nation mostly consisting of poor farmers, struggling to pay their taxes to their samurai lords, taxes they must pay in rice. The wild yam must have been savored by those men and women, not the least because it was a source of nutrition during the winters, that can be harsh in this country. After the Swedish explorer's journey in Japan history is now coming to full circle. The plants he collected and brought back to Sweden in the 18th century has been digitized by the Uppsala University in a project that began in 2013. Japanese researchers and the interested public can access them as high resolution images on the Internet. Among them should be one specimen of Dioscorea japonica, the Japanese mountain yam. It would certainly look nice on this page, so I will keep digging for it. At least the project won't break my back, unlike digging for the real thing might do. Compared to the wild yam the nagaimo (bottom left), common in superstores in Japan, looks civilized. Its wild cousin is a deluxe root and sells for as much as $USD 90 for a 1 kilo (2.2 lbs) specimen on on-line auction sites. If you want to buy the wild yam and cook it you will probably need to find a man who digs up one for you. However, a variety of the root is cultivated and sold to consumers. This root is quite different from the wild yam. It is called tankei jinenjo (tan - with the "a"pronounced as the "u" in sun - stands for "short"). The root is much shorter than the wild variety. It is grown in Tsuzuhara Eenoo in Tajimi from December to the middle of January. The taste is quite different from the long and unwieldy wild variety, which is hard to cultivate on commercial scale. ​Where can I eat this dish? If you would like to try this dish in Tajimi, we recommend that you ask for it at a Japanese style restaurant during the season (November to February). If interested, please make an inquiry here. Availability varies, but if you are lucky, you are in for a treat. Note that this is quite different from the type of dashi generally known abroad as a class of soup and cooking stock used in Japanese cuisine. This local style of "dashi" is used when preparing yam as demonstrated in the video.